Chief executives from the Pacific states and territories elected Gov. Ralph DLG. Torres of the Northern Mariana Islands as chairman of the Pacific Basin Development Council. Members include the heads of state for Hawaii, Guam, American Samoa and the NMI. 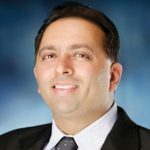 David J. John, president of ASC Trust LLC, has been selected to serve on the Fidelity Advisor Council. The FAC is a select group of Fidelity client leaders who meet twice a year to discuss solutions on the business challenges they face and contribute to Fidelity’s current and future product offerings. ASC manages more than $700 million in retirement assets for 26,000 participants and 450 retirement plans in the region. Coast360 Federal Credit Union was named the 2018 U.S. Small Business Administration Lender of the Year. Ian Z. Taitano of Coast360 was named the SBA 2018 Lending Officer of the Year. 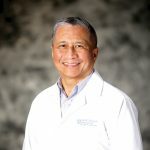 Dr. Michael W. Cruz has been named CEO of Guam Regional Medical City. He previously was president and chief operating officer of the hospital. 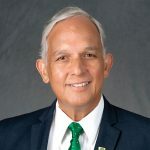 Jose Xavier B. Gonzales has been named chairman of GRMC. 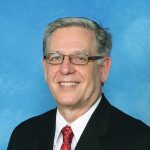 The University of Guam named former president Robert A. Underwood a president emeritus. Criteria include ten years as president. Underwood is also a professor emeritus, which requires 15 years as a professor. 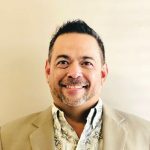 UOG also named Christopher K. Felix, president of Century 21 Realty Management Co. Inc. as chairperson of the board of regents and announced that Sandra H. McKeever, CEO and president of Asia Pacific Financial Management Group has joined the board. First Hawaiian Bank promoted Barbie Jane M.G. Agahan to advertising manager. She previously was assistant advertising manager. 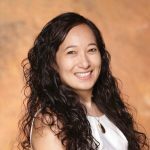 Agahan was named to the Guam Business Magazine’s “40 under Forty” in 2016 and serves on the planning committee of the First Hawaiian Bank and Guam Business Magazine Businesswoman of the Year program. She holds a bachelor’s of business administration from the University of Guam. HunterSpeaks, a Guam non-profit focusing on children with conditions in the autism spectrum, has recruited Lola Brown, a board-certified behavior analyst. 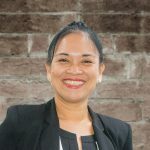 Brown holds a bachelor’s in social science and psychology from the University of Hawaii, as well as a master’s of education in curriculum and instruction, specializing in applied behavior analysis from Arizona State University. Brown has ten years of experience in the field. Brown, who is originally from Guam, will provide clinical treatment for autism, utilizing methods to reduce problematic behaviors commonly associated with the disorder. APL’s Guam office will move to the Camacho Landmark Center in Tamuning in the first quarter of 2019. The move will double the ocean carrier’s space to about 3,000 square feet. The Saipan Chamber of Commerce membership elected the following individuals to the board of directors: Janel V. Pangelinan, claims processor at Pacifica Insurance Underwriters Inc.; Joe Guerrero, business and development manager at Bridge Capital LLC; Marcia Calvo of Calvo’s Insurance Underwriters Inc.; Shayne Villanueva, operations manager of Aon Insurance Micronesia Inc.; and Tyrell Pauling, director of food and beverage at the Hyatt Regency Saipan. They join incumbent directors Velma Palacios, director of network operations, head of network for CNMI, manager of engineering and plant technical services of IT&E; Alexander A. Sablan, vice president of Tan Holdings; Perry Inos Jr., special project analyst at Triple J Saipan and Michael S. Johnson, managing partner of Deloitte & Touche to comprise the 2019 board. The Guam Chamber of Commerce membership elected the following individuals to the board of directors for a three-year term: Bobby Shringi, manager, marketing and sales for Guam and the Outer Regions of Moylan’s Insurance Underwriters; Edward G. Untalan, senior vice president and Guam-CNMI Region manager, First Hawaiian Bank; Christine Won Pat Baleto, master franchisee, Pacific Froots LLC ; Maureen N. Maratita, publisher, Glimpses Publications; and Milton K. Morinaga, managing director, P.H.R. Ken Micronesia Inc. The two alternate directors elected to serve a one-year term are Marie N. Guerrero, CEO and general manager of Three Squares Guam, Terraza at Puntan Dos Amantes and B&G Pacific LLC; and Juan Carlos Benitez, president and owner, The Washington Pacific Economic Development Group Inc. They join Joe M. Arnett, senior advisor, Deloitte & Touche LLP; Siska S. Hutapea, president, Cornerstone Valuation Guam Inc.; Sandra McKeever, president and financial advisor, Asia Pacific Financial Management Group; Mark J. Sablan, vice president of business development, South Pacific Petroleum Corp.; Mark Tokito, senior vice president, Bank of Hawaii; Kim Anderson Young, president and founder, Guam and CNMI Security Title Inc.; Frank J. Campillo, health plan administrator, Calvo’s Insurance Underwriters Inc.; James S. Herbert III, general manager, Triple J Five Star Wholesale Foods Inc.; Jeffrey B. Jones, president and chief operating officer, Triple J Enterprises Inc.; James Moylan, government account manager, Moylan’s Netcare Life & Health; Robert Salas, president, Landscape Management Systems Inc.; Bernadette N. Valencia, vice president and general manager for Guam and Micronesia, Matson Navigation Co.; and Albert Yanger, president, GPSI Guam to comprise the 2019 board. To serve a two-year term representing the Hotelier Chapter were Jeffrey Schweizer, general manager, Fiesta Resort Guam and Toshio Doi, president and general manager, LeoPalace Resort Guam. To serve a two-year term representing the Restaurateur Chapter was Frank Kenney, president and co-owner, Jamaican Grill and newly elected to serve a two-year term representing the Allied Industry Chapter was Edson Lai, general manager, Quality Distributors. Hold over directors for the 2018 term include Sophia Chu Wigsten, general manager, Hyatt Regency Guam; Steven Solberg, general manager, Outrigger Guam Beach Resort; Darren Talai, managing director, International Dining Concepts LLC, which does business as California Pizza Kitchen; Jay R. Shedd, senior director of sales and marketing, IT&E; and Bartley A. Jackson, president, Hotel Santa Fe Guam. 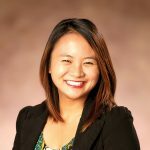 Hyunhi Chong was hired as the finance manager at APL upon graduation from the University of Guam with a professional master’s in business administration. Chong previously worked at Merrill Lynch and First Command Financial Planning. Karl A. Pangelinan was hired as the director of business and market development at APL. 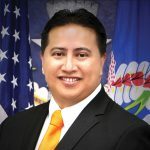 Pangelinan served as vice president of sales for o3 Energy Marianas, administrator at the Guam Economic Development Authority and general manager of the Guam Visitors Bureau. 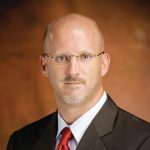 Raymond C. Hartley was promoted to assistant general manager at APL. 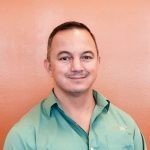 Hartley has a background starting in sales, trucking, maintenance/repair and Marine operations, having begun his career at Sea-Land Service Inc/CSX Lines/Horizon Lines. 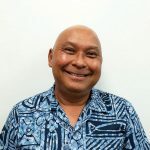 He served as operations manager at APL and as part of the original team that brought APL to the Guam and Saipan market. For the fifth time, Black Construction Corp. won the Guam Contractors Association 2018 Excellence in Construction First Place Overall Project Award, this time for replacing the generator engine at the North Power Plant Facility at Diego Garcia. Black also took Second Place Overall Project Award for repairs to the Deep Draft Wharf Facility; and Third Place Overall Project Award for the renovation at the Navy Federal Credit Union Guam Branch. In addition, Black was named 2018 GCA Contractor of the Year for the company’s overall achievement in safety, environment, workforce development and community service. The GCA Excellence in Construction winner competes at the national level during the Associated Builders and Contractors annual awards event. Other winners included Guam MACC Builders for the X-Ray Wharf improvements at Naval Base Guam and also for Storage Magazines at Naval Base Guam; and Core Tech International for the Prometric Test Center and Assessment Facility as well as the Guam Department of Education warehouses. Hyatt Regency Guam and Guam Community College signed a Memorandum of Understanding for 2019 that agrees training and employment opportunities for GCC students and graduates of the GCC International Hotel Management associate’s program. Students will complete 135 hours of practicum experience at Hyatt under instructor supervision. The MOU covers student field trips to Hyatt, field placement of students at Hyatt, the exchange and provision of human and material resources, education, consultation, research and employment and recruitment information. 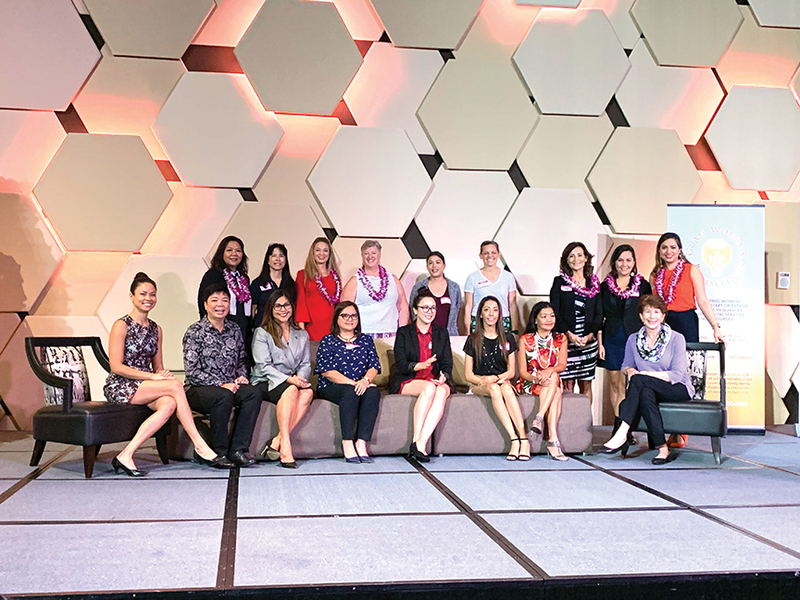 Bank of Hawaii took several awards in Bank Director magazine’s “2019 RankingBanking: Regional All Star’s List.” The bank was named Best Board in the U.S. for diversity, comprised of one-third women, one-quarter Generation X and 42% ethnically diverse. For the Western region it was ranked No. 1 for both Best Corporate Citizen and Best Technology Strategy and No. 2 for both Best Bank and Best Bank for Millennial Employees. Barbara J. Tanabe was separately named a 2018 “Director to Watch” by Directors and Boards magazine. Nominees joined members of the Guam Women’s Chamber of Commerce board on stage during the election on Dec. 6. Jayne Flores, assistant director of the Office of Communications and Promotions at the Guam Community College; Geri Leon Guerrero, president and general manager of Adztech and Public Relations; Jennifer McFerran, marketing manager of International Dining Concepts; Annette T. Santos, dean of the School of Business and Public Administration at the University of Guam; and Bernadette N. Valencia, vice president and general manager of Matson Navigation Co. They join board members Antolina Leon Guerrero, general manager for Sagua Managu; Jackie Hanson, communication specialist at UOG; Patricia Salas, vice president for relationship banking at the Bank of Guam; Michelle Crisostomo, Color Street independent stylist; Rindraty C. Limtiaco, publisher, Pacific Daily News; and Holly Rustick, founder and owner of WEGO Consulting.